Mockup was a desktop operating system, based on the Morphix live CD. The project's goal was to create an Open Source operating system that was easy to use - a live CD which can be installed on a hard disk. The desktop environment was based on new and exciting technology, such as udev, hotplug and HAL for hardware detection and automatic device files creation. The whole desktop was written using Trolltech's Qt 4 with both vector and bitmap graphics, with antialiasing. Where supported by the hardware, translucency and drop shadows are also provided for interesting effects. Rate this project Tony Sales has announced the release of Vinux 3.1, an Ubuntu-based distribution designed for blind and visually impaired computer users: "I am pleased to announce that Vinux 3.1 is now ready for download. It is currently available as a CD or DVD in both 32-bit and 64-bit editions (USB and Virtual Machine editions will follow shortly). It has been a long time coming, but hopefully it will be worth the wait. On top of all the usual Vinux goodies, new features include a Quick Start Guide for beginners (Ctrl+Alt+Q), Autokey-GTK which can insert text automatically as you type based on pre-defined abbreviation, the Parcellite Clipboard Manager which allows to paste text from the clipboard history, X-Tile which allows to tile windows automatically, Gnome Media Player as an accessible front-end to VLC...." Here is the complete release announcement. Download (MD5): Vinux-31-X86-DVD.iso (1,829MB), Vinux-3.1-X64-DVD.iso (1,896MB). The Vinux distribution is an Ubuntu-based project developed for blind and partially sighted people. Vinux provides screen readers, Braille support and high contrast icons. The latest release from the project, Vinux 5.1, is based on Ubuntu 14.04.5 LTS and offers three desktop environments: Unity 7.2.4, GNOME 3.10.4 and MATE 1.8. "This release features not just the Unity Desktop, but GNOME Shell and the ever popular GNOME 2 fork called MATE, though we primarily will support Unity only. Remember we recommend that when possible users perform updates on a regular basis. This will enable the Vinux team to update packages, and introduce new features. 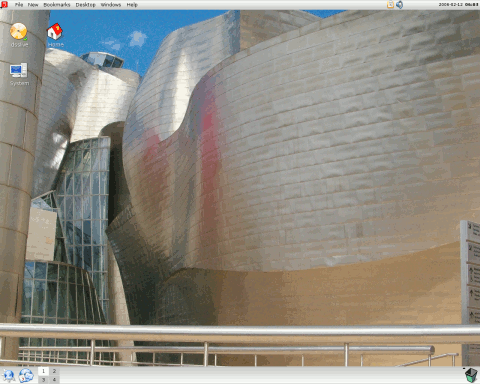 Vinux 5.1 is based upon Ubuntu 'Trusty Tahr' 14.0.4.5 LTS." The release notes mention a regression in console speech changes: "We are unable to include the Vinux 4.0 console speech changes due to Vinux 5.1 not using ConsoleKit any longer, please see the wiki for more information. To use speechd-up log in to your desktop session and run sudo speechd-up from a GNOME terminal or add a start-up item to do it automatically upon login." The release announcement has further details. Download: vinux-5.1-amd64.iso (1,318MB, MD5, torrent, pkglist). Rob Whyte has announced the release of Vinux 5.0. Vinux is based on the Ubuntu distribution and is designed to be used by blind and partially sighted users. "This release features not just the Unity Desktop, but GNOME Shell and the ever popular GNOME 2 fork called MATE, though we primarily will support Unity only. Remember we recommend that when possible users perform updates on a regular basis. This will enable the Vinux team to update packages, and introduce new features. Vinux 5.0 is based upon Ubuntu Trusty Tahr 14.0.4.3 LTS. Some of the highlights in Vinux 5.0: New re-designed Vinux boot logo. Up to date accessibility infrastructure. Current GNOME-Orca and accessibility framework. Improvements with Nautilus file manager when processing large folders." Vinux 5.0 is available in 32-bit and 64-bit builds for the x86 architecture and will receive security updates through until 2019. Further information on this release can be found in the project's README file. Download (MD5): vinux-5.0-amd64.iso (1,280MB, MD5, torrent, pkglist). Rob Whyte has announced the release of Vinux 4.0, an Ubuntu-based distribution for visually impaired users, offering text-to-speech and Braille support right from the boot-up: "The Vinux team is pleased to announce the availability of Vinux 4.0 CD and DVD images. This is the first Vinux release featuring the Unity-2D Desktop which improves on transition to Vinux and introduces newer and increasingly stable accessibility features. We now recommend that when possible users perform updates on a regular basis. This will enable the Vinux team to update packages, and introduce new features. Some of the highlights in Vinux 4.0: brand new build process - Vinux now uses the same method to produce our images as Canonical produces Ubuntu; Console speech just works; Voxin is easy to set-up...." Read the full release announcement for further details. Download (MD5): vinux-4.0-desktop-amd64.iso (699MB), vinux-4.0-dvd-amd64.iso (1,820MB). Mobeen Iqbal has announced the release of Vinux 3.0.2, the latest update of the project's 3.0 series of the Ubuntu-based distribution designed for visually impaired users: "We are happy to announce the release of Vinux 3.0.2, based on Ubuntu 10.04.4. Changes in this release include: Linux kernel 2.6.32.39; Orca XDesktop 3.1.19; Firefox 10.0.2; Thunderbird 10.0.2; minor package changes as well as Vinux-specific console branding GRUB configuration; Vinux tips on console log in; Orca customizations and man text scripts; easy install scripts optimized; extra system sound schemes added; USB install script included; Luke's speak-up DKMS package included, you no longer need to run 'restorespeech' after a new kernel is installed; CFH, OpenSSH and CPU frequency daemon installed by default; Remastersys no longer deletes SSH keys; YASR is no longer included, encountered frequent errors and not used...." Visit the project's news page to read the release announcement. Download (MD5): Vinux-3.0.2-I386.iso (1,427MB), Vinux-3.0.2-X64-DVD.iso (1,480MB). Tony Sales has announced the release of Vinux 3.2.1, an Ubuntu-based distribution for designed for visually impaired users: "Vinux 3.2.1 is now available for download. The main difference between this and the recently released Vinux 3.2 is that by default it boots with PulseAudio running in 'user' mode rather than 'system' mode. This prevents PulseAudio from crashing at boot on a small number of sound cards, but it means that Speakup is not available from the live CD or immediately after installation. However, there are now two simple commands for switching PulseAudio from user to system mode in conjunction with a reboot of the machine. This version also includes an accessible Zenity front-end for UNetbootin which allows users to install Vinux to a USB pen drive with persistent storage. Visit the distribution's news page to read the full release announcement. Download (MD5): Vinux-3.2.1-i386-DVD.iso (977MB), Vinux-3.2.1-amd64-DVD.iso (1,054MB). Tony Sales has announced the release of Vinux 3.2, an Ubuntu-based distribution optimised for the needs of blind and visually impaired users: "I am happy to announce the release of Vinux 3.2, based on Ubuntu 11.04. This is a cutting-edge release featuring the latest versions of Orca (3.1.2) and Speech-Dispatcher (0.8) from the daily-build repositories. This version is available as CD and DVD in both 32-bit and 64-bit editions. The DVD version provides the same software as the CD but with the addition of LibreOffice and some non-free multimedia codecs. The default desktop is Classic GNOME 2.x but Unity is available from the GDM login screen if your video card supports 3D. This release includes the Pico TTS voices in addition to Espeak...." Visit the project's news page to read the full release announcement. Download (MD5): Vinux-3.2-i386-DVD.iso (967MB), Vinux-3.2-amd64-DVD.iso (1,044MB). 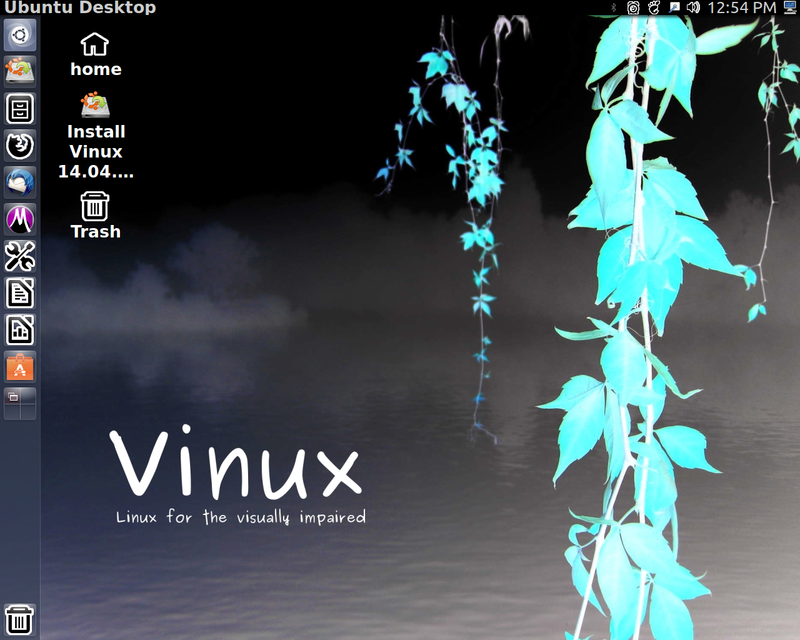 Tony Sales has announced the release of Vinux 3.0.1, an updated version of the Ubuntu-based distribution designed for blind and visually impaired users: "The Vinux 3.0.1 release, based on Ubuntu 10.04.2 LTS, is now available for download. This combines all of the accessibility of Vinux 3.1 with the stability of Vinux 3.0 as well as a few completely new features. In addition to the existing three screen readers (Orca, Speakup and YASR) this release also includes Emacspeak, 'The Complete Audio Desktop' pre-configured and ready to go out of the box. You can now create audio books from text-based files using our exclusive Audiobook converter package, browse our new HTML-based Vinux manual to help get you started, install the latest version of LibreOffice using an EasyInstall script, and customise your desktop experience with Ubuntu Tweak." Visit the distribution's news page to read the release announcement. Download (MD5) either the CD or the DVD image (the latter includes LibreOffice and non-free multimedia codecs): Vinux-3.0.1-X86.iso (664MB), Vinux-3.0.1-X64.iso (699MB), Vinux-3.0.1-X86-DVD.iso (1,502MB). Tony Sales has announced the release of Vinux 3.0, an Ubuntu-based distribution designed for blind and visually impaired computer users: "On behalf of the whole Vinux community I am happy to announce the 3rd release of Vinux - Linux for the visually impaired, based on Ubuntu 10.04. This version of Vinux provides three screen-readers, two full-screen magnifiers, dynamic font-size and colour-theme changing as well as support for USB Braille displays. Vinux is now available both as an installable live CD and as a DEB package which will automatically convert an existing Ubuntu installation into an accessible Vinux system. In addition, we now have our own Vinux package repository (from which you can install our customised packages with APT or Synaptic) and a dedicated Vinux IRC channel." Visit the project's home page to read the full release announcement. Download: Vinux-3.0.iso (686MB, MD5), Vinux-3.0.iso (693MB, MD5).